Every year LG seems to get more ambitious with its TVs, partnering its hugely successful budget line-up with some real show-off stuff for the premium end of the market. 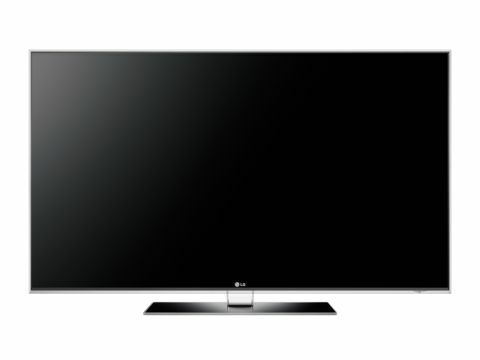 But nothing the Korean giant has done before quite prepares us for the amount of innovation and extravagance it's thrown at the 55LX9900, a 55-inch TV so jam-packed with technology – including active 3D playback — that it's likely to have even Philips and Samsung scurrying for cover. Probably the single most striking innovation in this TV concerns the LED technology at the TV's heart. For remarkably, LG has managed to make a screen that uses full (direct) LED technology, where the diodes sit behind the screen, but which sports the sort of slender profile previously only achievable with edge-mounted systems. By combining the slim-form design of the latter with the premium picture potential of the former, LG has created a truly mouth-watering proposition. The 55LX9900's design does a startlingly good job of ramming its LED innovations home. For as well as only sticking out 31mm around the back, as we would expect to see with typical edge LED TVs, the set's screen surround is also unbelievably thin, protruding just 2cm from the top, left and right edges of the screen. And that distance includes three or four millimetres of transparent outer edging, so that the main black frame looks even thinner still.